The name of the divorced, must be difficult and painful. Even if the divorced does not feel sick because the divorce is the decision of both parties, must be their children who feel the pain. It is the children who feel the most troubled and hurt by the divorce that happens to both parents. Many children carry scarring “battles” of divorce until adulthood, a wound that can never heal by seeing the rift of the household of his father and mother. Especially if they have to be a witness of the quarrel for the quarrel of his parents every day. Though it should be a divorced parent who realizes that when they used to meet and unite in a good way, why if you have to end it, not in a good way too? We are married to seek happiness. But, in the process, many stumbling blocks are blocking, and ultimately make us have to make choices. Keep fighting or parting. And if the worst risk that must be taken, of course we cannot be rash. There are ways to split up without being emotionally destructive to children in the long term. According to M Gary Neuman, a family and divorce expert, divorced parents often make their children “messengers” or “mail carriers” to communicate with each other. In fact, that’s what can cause excessive stress and emotional distress in children. Because they have to force themselves to negotiate the situation of their parents that they cannot really handle. Email is an excellent tool right now to communicate with your ex-spouse. In addition to greater capacity than regular SMS, email is also a communication tool that if minimize your direct interaction with ex-spouse. Different with the use of SMS, BB messenger, chat YM, and the like with it. It also allows you to specifically discuss the possibility of raising your child without having to open your old wounds together. If you want or need to talk to your ex over the phone or personally about children, focus on what you want to say and do not get hurt when your ex is upset. Whether or not they are aware, divorced parents often make their teenagers or grown-ups as their ventures or therapists. And in this divorce issue, adolescent children have a desire to be in control and keep their parents together. But their parents’ divorce choices have turned their world upside-down. Never tell in detail about your divorce or feelings of anger toward your ex-spouse to older children. Because it will create a kind of wrong understanding of you and / or your ex-spouse. Not infrequently, they will feel guilty and believe that they are the cause of your separation. Or, worse they will save hatred against one of you both for hurting their loved ones. Do not be selfish to always ask your children to understand your circumstances and feelings. You also have to understand their circumstances and feelings. Because after all, the effects of divorce are most felt by them, and post-divorce their feelings in chaos. You need to listen to what they feel. Just listen, but do not criticize your ex-partner in front of him because it is tantamount to criticizing your child as well. After all, your child has 50% of yourself and 50% of your husband’s self in him. If the children still do not want to talk, you can advise your child to write down his feelings and you can share them with your ex. After all, your ex-spouse has the same duty and right to know how the child’s condition and feelings are. But do this only if the child wants to do it. Understand their circumstances, and help the healing process by making them feel loved and understood. 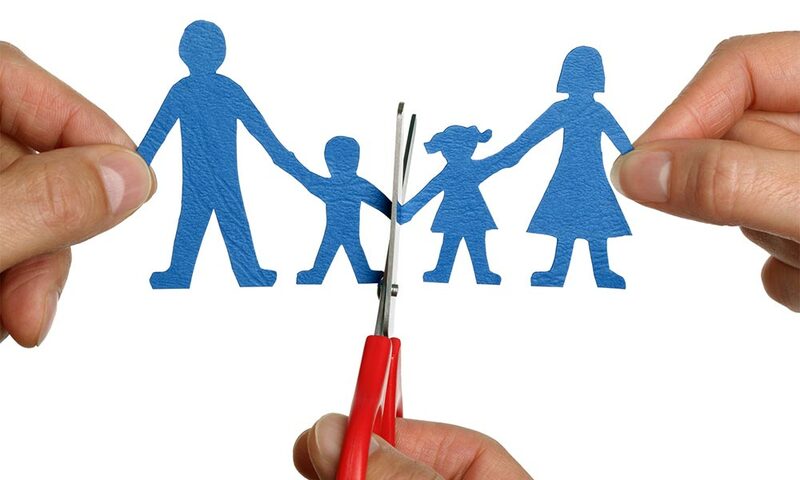 Separating does not mean the children have to lose you or your ex. In that sense, you may no longer be home. But, do not let children come to throw “home” in their hearts. They should still be able to communicate well with both parents. They should still have you both. So do not make them choose. For younger children, custody should be available to the mother. But that does not mean the mother who has to rule for everything. However, the father also has the right to take care of them occasionally until the children can freely choose their own to want to live with whom. Remember, your relationship and your spouse may break up and you both become strangers. But, children will never break with their parents. As bad as any parents, parents are still parents. Equally have rights and obligations. Divorce is painful. But that does not mean it cannot be made better, especially for children’s emotional problems. Children are very forgiving, as time passes, they will learn to understand you both. As long as they do not lose the figure of one of you. Apologize to them, because they have to “split up” for a while with you or your ex-spouse. But keep emphasizing that there are things you cannot share with them until they grow up. Emphasize that separation does not mean they will lose. They can still and can feel your love both. And prove it. Make a deal not to criticize each other in front of your children. If necessary, ask them to signal as a warning if you escape criticizing your ex-spouse. Immediately apologize and do not repeat again. If you need help from someone else, or you need a friend to talk to, do it to an expert counselor or the people closest to you.